Go HERE for more photos by Hassan Mokaddam and tag yourself and your friends! 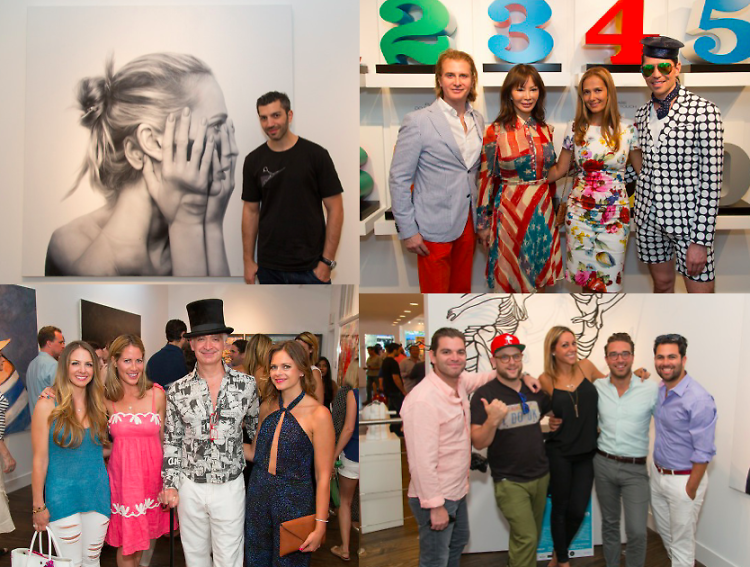 On July 5th, Gallery Valentine, MAS Creative, and Beach Magazine welcomed collectors and guests to kick off their summer season with an Art Southhampton preview and to unveil the latest pieces from hyperrealist painter Tigran Tsitoghdzyan. The acclaimed painter was in attendance to explain his unique, contemporary technique. The two new pieces, Mirror V and Mirror Metamorphosis will be on display at the gallery. Guests included Art Southampton's Nick Korniloff and Pamela Cohen, Morgan Shara, Neesha Arter, developer Josh Guberman and Meggan McCabe, Meatball Shop chef Daniel Holzman, Larry and Brenna Praeger, Amanda and Douglas Wurtz, Hal Buckner and Ron Burkhardt, Beach Magazine’s Eden Williams and John J. Pappalardo, Esq.